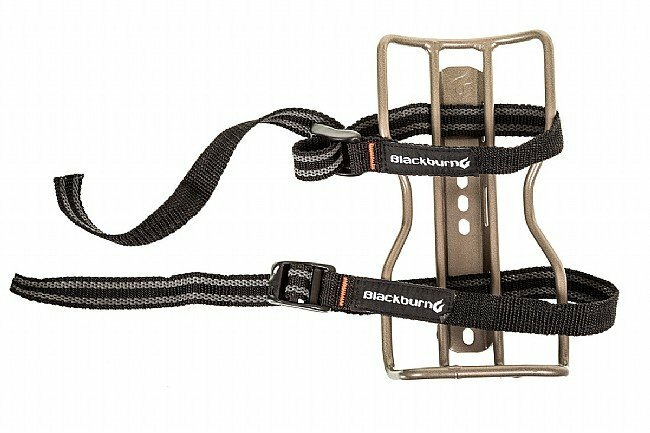 The Blackburn Outpost Cargo Cage blends a bottle cage and a cargo rack into one super versatile frame-mounted accessory. 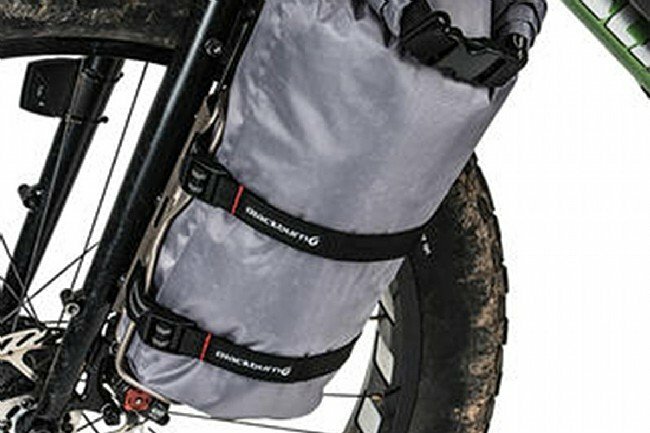 The 6 mm tubular alloy construction has a 9 lb load capacity for strapping down oversize water bottles, dry bags, or other oddly shaped items. 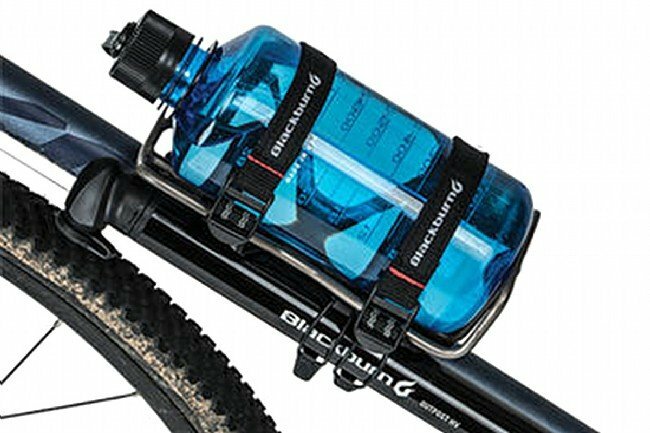 It mounts to standard water bottle braze-ons (hardware not included), and silicone-backed webbing makes for grippy tie-downs to keep cargo in place. 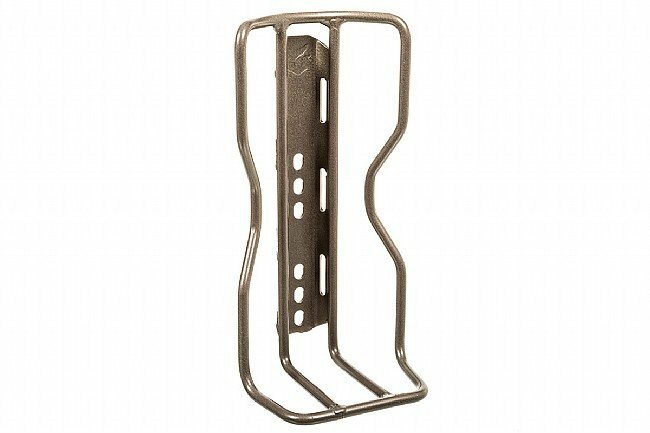 Claimed weight is 164 g including straps.